A five-story building came crashing down Tuesday in Mumbai, India’s financial and entertainment capital, killing at least 12 people and injuring 12 others, police said. Another dozen people were feared trapped under the rubble. The cause of the collapse of the building, which housed 15 families, was not immediately known. Rescuers have been digging through the rubble in search of more victims since Tuesday morning and will continue during the night, police officer Lal Bhandari said. The injured have been taken to hospitals, he said. Mumbai Mayor Vishwanath Mahadeshwa said some people expressed belief that the collapse could be linked to repair work on the ground and first floors to turn a small hospital into a guest house belonging to a local governing Shiv Sena party member. He said authorities would investigate. 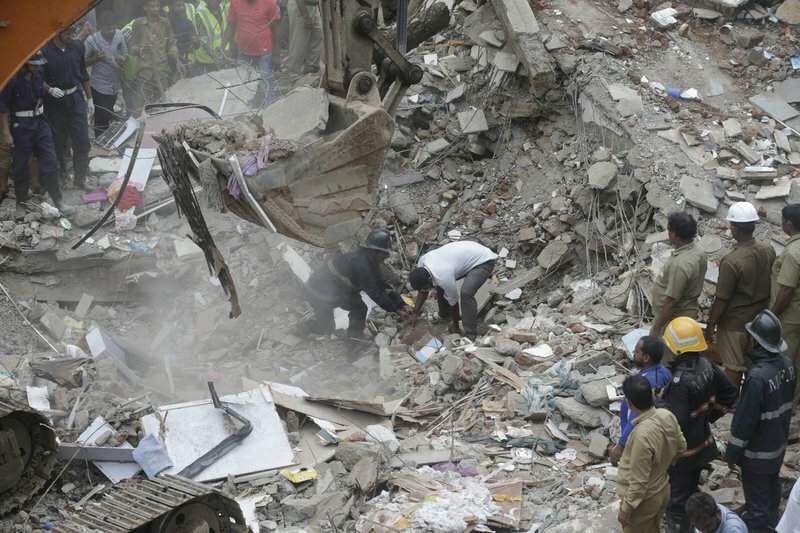 Also Tuesday, a portion of a 100-year-old building collapsed in the eastern city of Kolkata. At least two people were killed and others were feared trapped, the Press Trust of India news agency said. Most residents left the building after noticing pieces of concrete falling, PTI said. 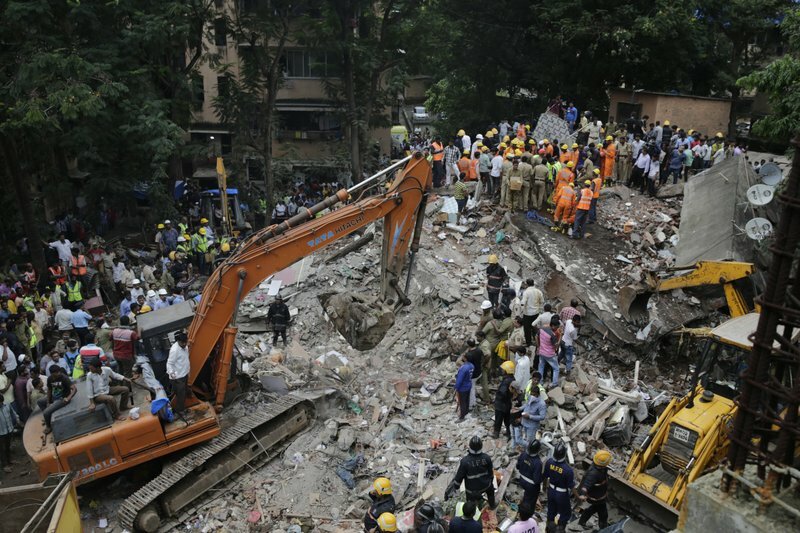 Building collapses are common in India during the monsoon season, which is June to September. High demand and lax regulations encourage some builders to cut corners, use substandard materials or add unauthorized extra floors. 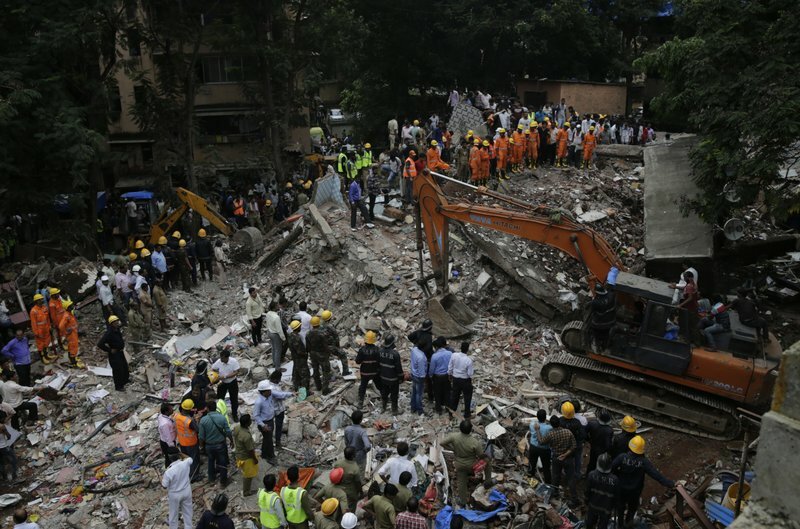 In 2013, a building being constructed illegally in Mumbai caved in, killing 74 people in the country’s worst collapse in decades. 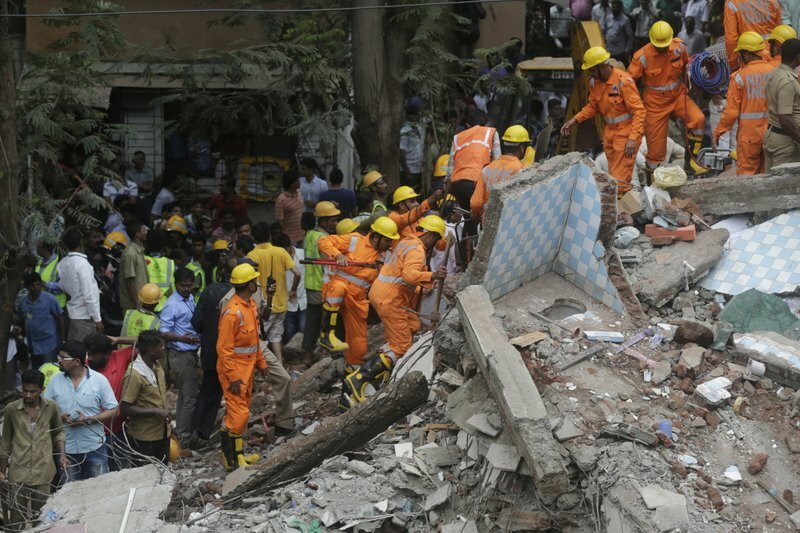 Rescuers work on the debris after a five-story building collapsed in the Ghatkopar area of Mumbai, India, Tuesday, July 25, 2017. A fire official says 11 people have been rescued and more are feared trapped.